This system was visited for the first time on EDSM by Sanderling. 2108 ships passed through Phroi Bluae QI-T e3-3454 space, including 89 ships in the last 7 days. 8 ships passed through Phroi Bluae QI-T e3-3454 space in the last 24 hours. A planetary nebula 8,400 lightyears away from Sagittarius A*, along the Perseus Stem portion of the Distant Worlds 2 expedition. 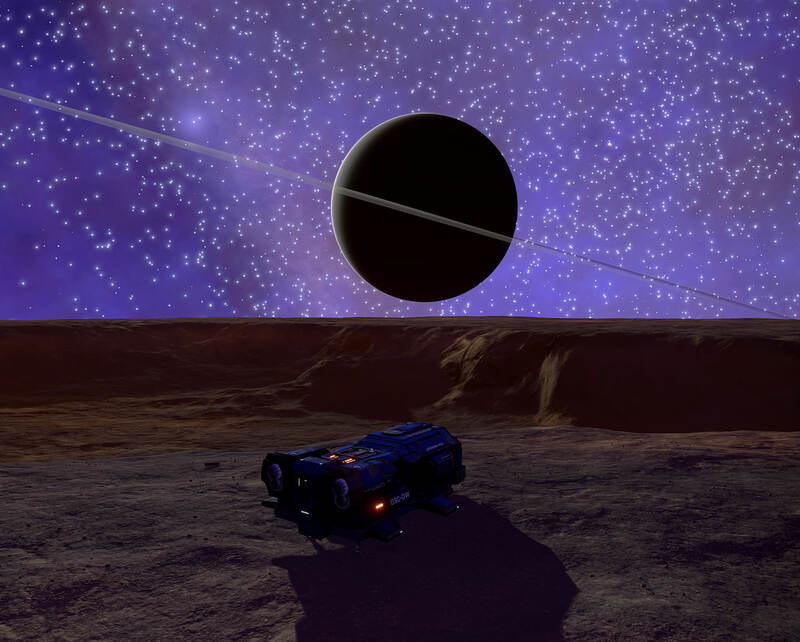 Light blue skies surrounding a neutron star system make for some spectacular environmental views.